UMC’s Weathertight Doors are fabricated using high quality ¼” steel plate and they are built to ABS specifications. 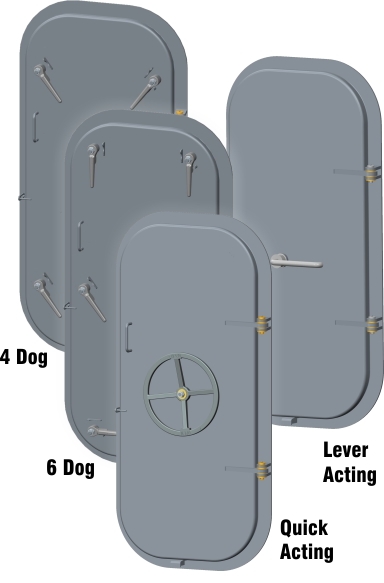 Our doors are built to provide continuous trouble free use and they come in various styles including Quick Acting, Lever Arm, 6 Dog and 4 Dog. Various standard sizes are available in both right and left handling. Contact us today for assistance in selecting the appropriate door for your specific application.